You’re still throwing out used tea bags? I can assure you that after reading this you will not throw away a single used tea bag again. Most of us know the healing properties of tea, but not many know that previously used tea bags can be useful in many different ways. 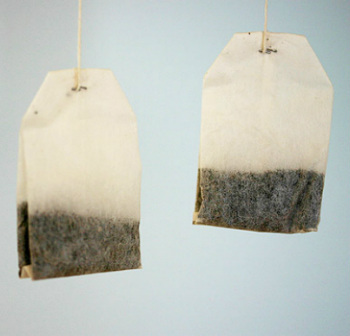 Acne can manifest for a variety of reasons but tea bags will give you relief! Place already used tea bags on the affected area(s). It will help you get rid of acne anywhere on your body. Green tea is a top choice for this use. In fact, this study found a 70% reduction of sebum after 8 weeks of using green tea topically. Excess sebum production is a problem for every acne patient. Sebum is a natural moisturizer that your body secrets. It can cause or aggravate acne when it is overproduced. If you got a little too much exposure and turned beet red using tea bags topically can give you quick relief. Place the used tea bags on the affected area to cool it down and aid the healing process. Black tea works especially well. In order to prevent meat from becoming tough marinate it with already used teabags. The tea’s aroma will make the meat taste richer and it will also make it softer. Store previously used and dried teabags in the closet in order to make your clothes smell fresher. You can also put one of these bags in each shoe. It will get rid of the unpleasant smell in no time. If you have a wound or sore inside your mouth, bite down on a previously used teabag. The tea’s compounds will relieve the pain and it will speed up the healing process. Tea can clean dirty mirrors, floors and even linoleum. Put a couple of teabags in cold water and let them soak for 2 minutes. Place them onto your eyelids. Let them rest there for a couple of minutes. After you put them away the redness will be gone and your eyes will look fresher and more youthful. Tea bags make a wonderful addition to your compost or soil. You can also add them to compost tea, or simple steep used tea bags and feed your plants with the water. Organic gardeners report that feeding your plants with tea or adding tea bags to the soil repels root maggots effectively. Be sure to use pesticide-free brands. Some good choices are listed below. Cleanplates.com compiled this awesome list of non-toxic tea brands. Make sure you’re using one of the teas below or can verify that it is not full of pesticides or toxins. Big thanks to cleanplates.com! Choice Organic Teas. One of the company’s consumer relations experts, Nia, assured Clean Plates that all Choice Teas are not only organic but free of epichlorohydrin. Tetley Black & Green tea. Tetley’s new Black & Green (a blend of both varieties) uses Perflo paper bags, which are free of epichlorohydrin. The tea is also free of pesticides. Teanzo 1856. “We use only natural and organic flavors and ingredients. Nothing artificial,” says founder Meena Kapur. Upton Tea Imports. The company offers a host of high-grade, organic varieties (use the “search” box to find the organic blends). Know more toxin-free teas? Leave them in the comments!